Born in medieval times on the Svartån River, Västerås has spent the last few hundred years inching down to the scenic shore of Lake Mälaren. New neighbourhoods are being built by this beautiful body of water specked with little islands. 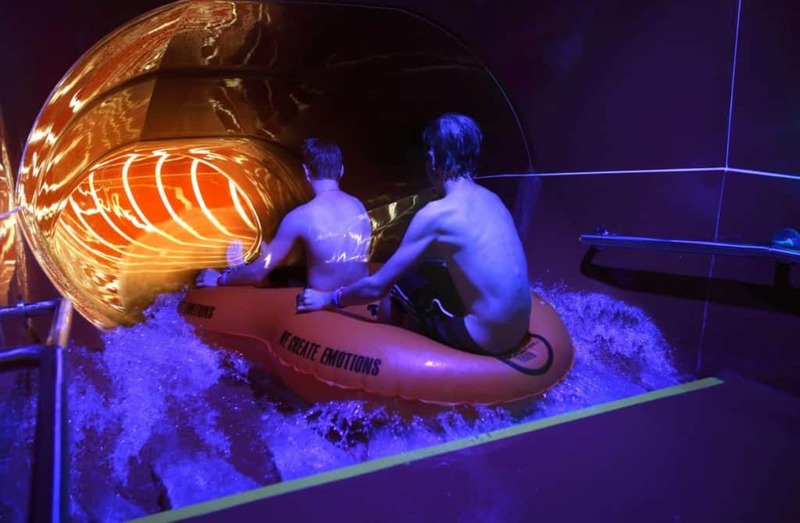 It’s the scene of Sweden’s largest inland harbour, and family attractions like a Viking settlement and an indoor water park have opened on the shore. The old centre of Västerås was overhauled in the 1960s, but there’s history to be found in the endearing Kyrkbacken area, a former slum. 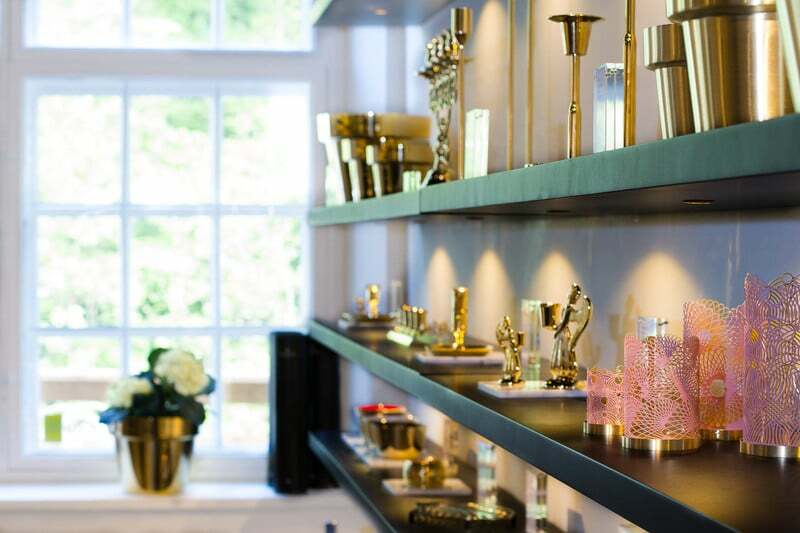 You can also explore an ancient burial site at Anundshög, spend the night in a silver mine and get an inside look at Skultuna, a historic brass foundry crafting luxury homeware. 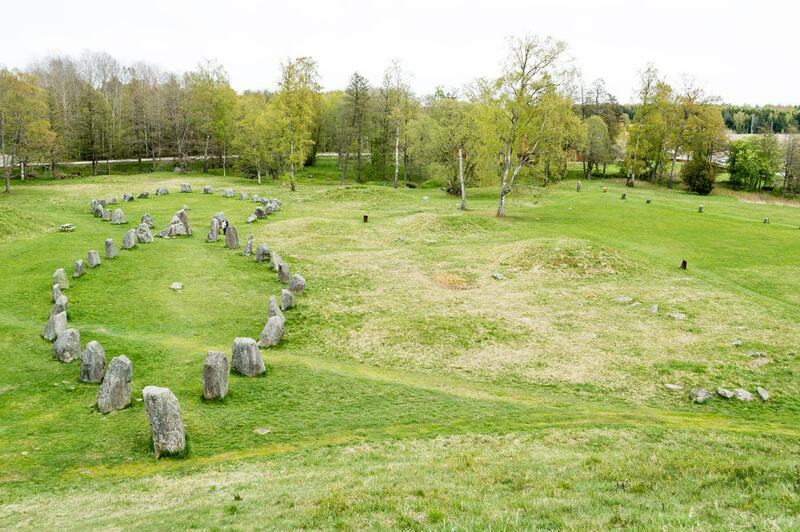 Under ten kilometres east of the centre of Västerås is Sweden’s largest barrow (burial mound). This is nine metres in height and 64 metres across and dates back at least 1500 years. It is claimed to be the resting place of the semi-legendary King Bröt-Anund from the House of Yngling. The earliest evidence of human activity at this site on the Badelunda Ridge goes back further, to around 2500 BC, and people gathered here for “Things” and spiritual ceremonies right up to medieval times. Related to these are two stone ships at the base of the mounds and the Eriksgatan, a line of runestones leading from the east side of the barrow. This marks out a long-distance path that Sweden’s early kings had to walk to be confirmed by the “lawmakers”. The city’s cathedral was consecrated in the 1200s, and there have been all sorts of extensions and restorations since then. The most recent was in 1958-61, but there’s no shortage of sumptuous art and architecture from the middle ages and Renaissance. The altar sets are exquisite and were crafted in Lübeck (Capital of the Hanseatic League) in the 15th century. King Erik XIV who was famously deranged is buried at Västerås Cathedral. His tomb has a Carrara marble sarcophagus over a sandstone base, and was claimed to have been too short for his body, so his feet needed to be cut off. Of the newer ornamentation from the early 1960s, look out for the ceramic pulpit which has an intense yellowy-green glaze. Along the river from the city centre is a classic Swedish outdoor museum. 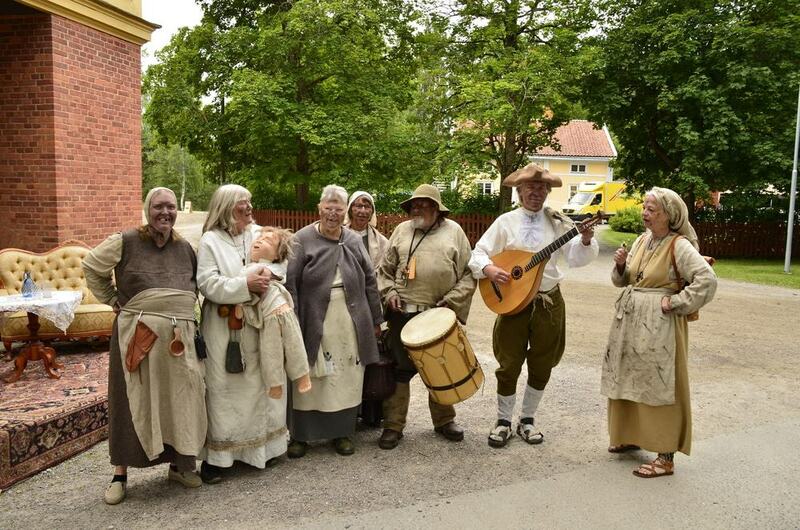 This attraction has gathered up to 40 traditional buildings from around Västmanland County and brought them here piece by piece. Among the sights is a manor house, copper works, a whole town square, blacksmith, village school and Christian mission hall. Each of the buildings have actors to paint a picture of daily life in old times, and there are also skilled tradesmen demonstrating traditional crafts. At the farmyard kids can make friends with baby goats and lambs, and see the draught horses in action in the fields. The gift shop sells handicrafts made in the museum’s workshops. 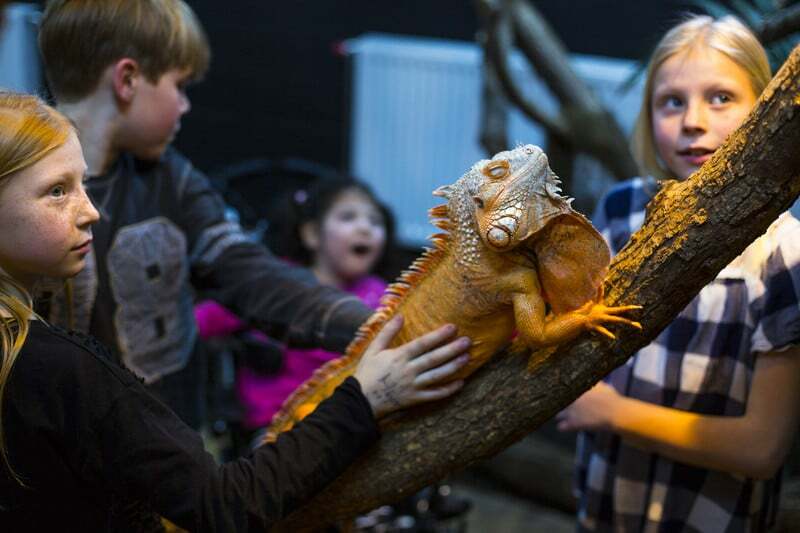 Highly recommended if you’re in Västerås with younger members of the family, the Kungsbyn Animal Park is a small but well-run zoo. There are both exotic and domestic animals here, and lots of opportunities for little ones to interact. They can go on pony rides, meet goats and sheep, and watch the moose being fed. The animal park also has a terrarium, with snakes and iguanas, and braver kids will be able to touch and handle them. On the side there are tractor rides, you can hire small electric buggies (zooms) and you can finish up at the park’s inviting restaurant. We can bet that you’ve never set foot in a water park like this. Kokpunkten is eight floors of slides and pools in the confines of a former steam power station on the east side of the city. The monolithic building, celebrating its centenary in 2017, is a popular fixture in Västerås’ cityscape, right on the shore of Lake Mälaren. The plant was shut down in 1992 and in the 2000s it was slowly reworked into this unique attraction. There’s fun for teenagers and the smallest members of the clan, but also relaxation for grown-ups . This comes in the shape of saunas, and a heated open-air pool on the eight floor that looks out over the lake. Travel west to the magical island of Engsö, where you’ll come to this historic property. The lowest floors are medieval, dating to the 15th century. In the 18th century the upper floors were reworked into a genteel Rococo style by the architect Carl Hårleman. The castle is owned by a foundation that opens it to visitors in summer, allowing you to tour the sublime 18th-century interiors. These are decorated with period furniture, chandeliers, stuccowork, parquet floors and 18th-century portraits. 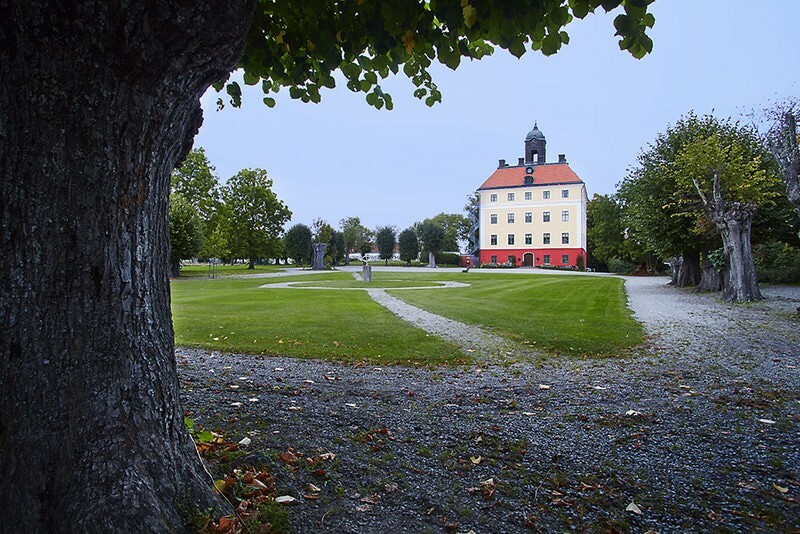 The castle is also supposed to be one of Sweden’s most haunted places, and one its gang of ghosts is Anders Luxemberg, the “court dwarf” of King Karl XII. 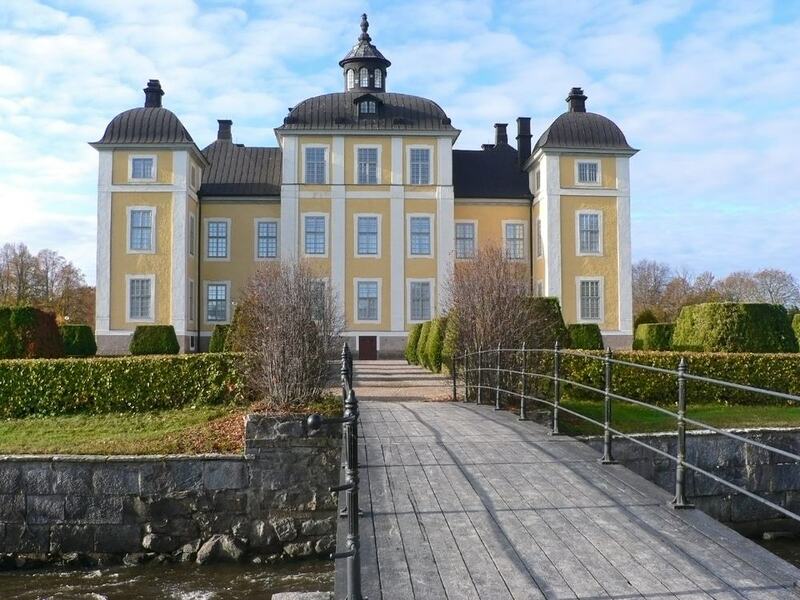 The Royal Family frequented Strömsholm in the first decades of the 19th century, after which it became the riding and driving Academy for the Swedish Army for the next 100 years. The palace went up in the 16th century, and its current Baroque facade was composed in 1681. The “Gustavian” interiors are a little newer and date to the middle of the 1770s, and are just as they were when the likes of Karl XIV Johan would holiday here. The art collection is very rich and has a sequence of equestrian paintings by the 17th-century master David Klöcker Ehrenstrahl. The sweetest old district in Västerås is around the Rudbeckianska Gymnasiet (roughly, the Rudbeckian Grammar School) in the north parts of the town centre. In a warren of alleys there are one and two-storey houses in what was the city’s humbler neighbourhood. The clerical elite and bourgeois lived in the southern quarters, while this was a slum up to the mid-20th century. One of its residents was the city executioner, who wasn’t even allowed to share water with other citizens and had to drink from a well that has been kept as a garden. 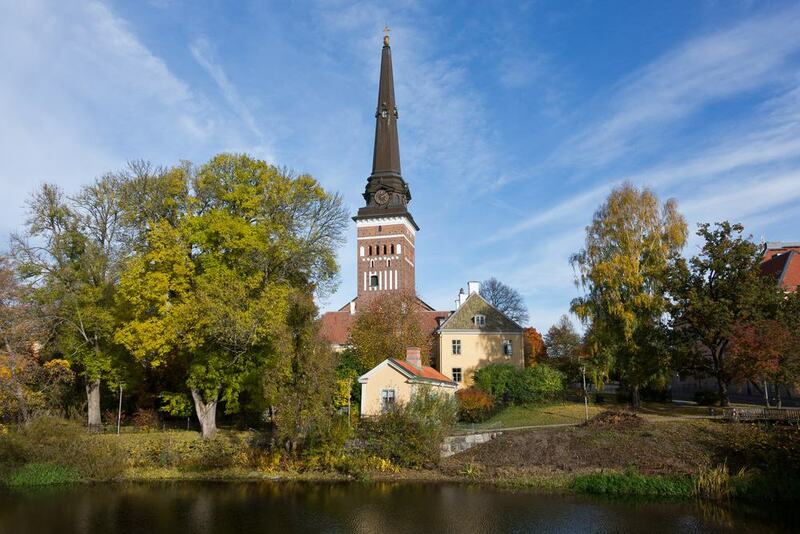 When the rest of Västerås was given a facelift after the Second World War, Kyrkbacken was spared demolition and still has its cute, cobblestone lanes and painted wooden cottages. 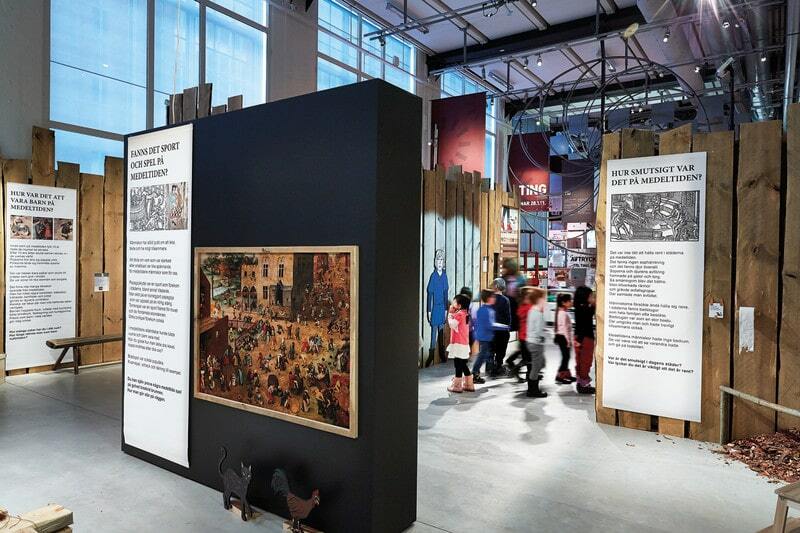 At Karlsgatan 2 in the centre of Västerås is a museum that spells out the history and culture of the wider Västmanland County. One of the exhibits you need to see is a treasure discovered in ancient graves at Badelunda just outside the city. Dating from around the 3rd century AD it’s the largest hoard of gold ever found in a woman’s grave, and is made up of bracelets rings and necklaces. You can also peruse tools from the Stone Age, step into a medieval wooden dwelling and see the time-honoured method of making pottery. All the way, kids are encouraged to work things out for themselves. In the same building is the city’s Art Museum, which puts on temporary exhibitions for Swedish and Nordic contemporary art. 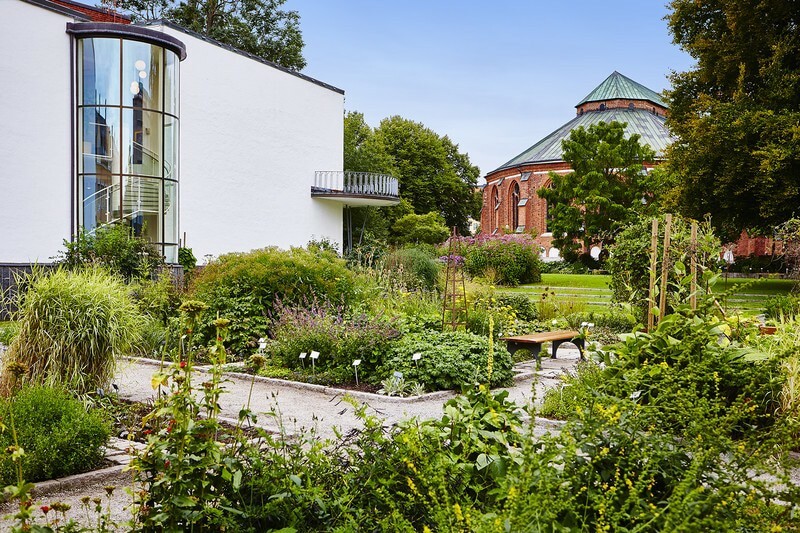 The oldest garden in Sweden to be planted specifically for botany students (at the Rudbeckianska Gymnasiet) is in a prime location just next to the cathedral. A protégé of the great taxonomist Carl Linnaeus established this carefully ordered garden in the mid-18th century, and the species are all labelled with their scientific names according to the system Linnaeus invented. The garden is at its best in summer when it’s awash with colour and you can bring ice cream or picnic to sit beside the pond. If there’s an individual plant you want to search for, pick up a map of the garden from the library just next door. At Västerås Airport there’s an Air Force hangar erected in the 1930s and converted into an aviation museum in 1997. 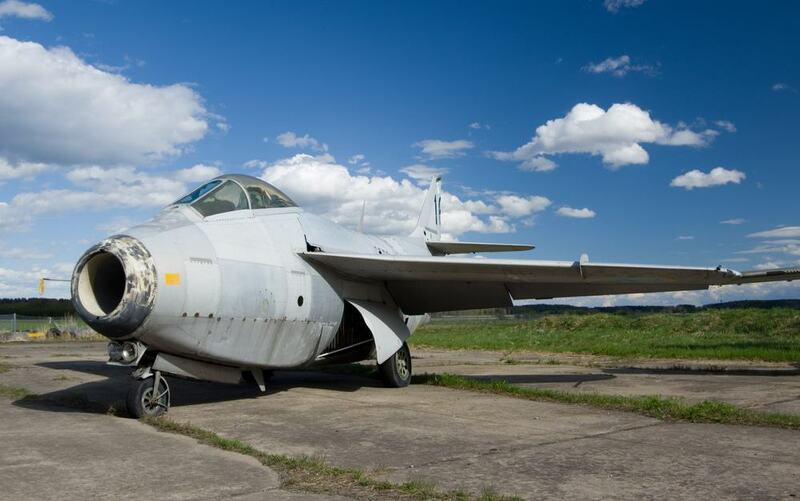 If you’re into aircraft, a cave of wonders awaits you, and it’s something that not many tourists in Västerås get to see. There are dozens of vintage aircraft in the hangar, at least 40 of which are flight-worthy. Some models of note are the Convair 440 Metropolitan, a Saab 35 Draken fighter jet that was in service up to the 90s, and a McDonnell-Douglas DC-10. There’s also an antique link trainer simulator and four advanced flight simulators owned by the Swedish Air Force. More of a palace than a fortress, this regal estate was designed in a Dutch Renaissance style in the first half of the 17th century. Its owner at that time was Axel Oxenstierner, the Lord High Chancellor and confidant to King Gustavus Adolphus and later Queen Christina. You can step in to be shown around of the plush state apartments and there’s also a museum of vintage toys inside. The ruins of the 15th-century castle the palace replaced are next to the present building. And for a brief time in the 1530s this house was in the hands of Queen Consort Margaret Leijonhufvud, wife of Gustav Vasa. For a day out with a difference you can dive into Swedish history at this Silver Mine around half an hour north of Västerås. The mine operated on and off from the 1400s to the 20th century, and in that time some 450 tons of silver was brought to the surface. You’ll be led on a guided tour around the mine’s haunting chambers fashioned over 500 years. These visits can vary in duration, and the longest lasts up to four hours, reaching a depth of more than 150 metres. Temperatures down here are a steady 2°C throughout the year. If there’s availability you can stay overnight in a hotel suite 155 metres below the surface, with an extra-thick quilt on the bed! Another excursion with a metallic theme, the Skultuna Brassworks are minutes north of the city. This factory has been operating since 1607 and the tour will present the many intricate items designed and forged on these premises. One of its most famous industrial designers was Hjalmar Norrström from the 19th century, whose crafted ornaments were given as official gifts by Sweden’s kings. One of his most celebrated creations is a brass baptismal font, which won a Gold Medal at the 1900 Paris Expo and is on show at the brassworks. There’s a cafe beside the river, and a big outlet store with home utensils forged by Skultuna, alongside other Swedish designer homeware brands. We’ve seen that Västerås is endowed with Viking heritage, and this is brought to life at a family attraction and activity centre east of the city. 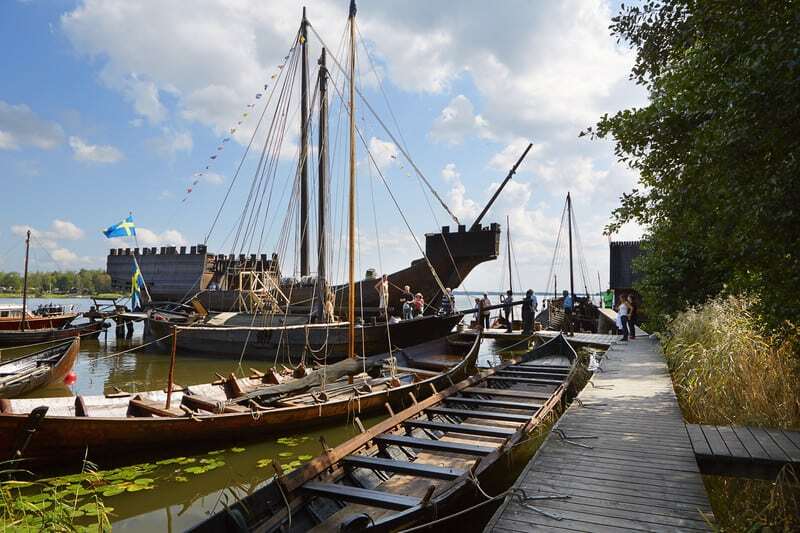 At the dock on the lake are 25 wooden vessels, among which are faithful replicas of longships and reconstructions of historic vessels like a 14th-century Hanseatic trading vessel discovered in Skanör harbour in 1991. On dry land there’s a historically accurate Viking hall. This is the showpiece of a village where you can learn the ropes brewing beer, making flatbread over a roaring fire, rowing, sailing, testing your archery skills and firing a catapult.